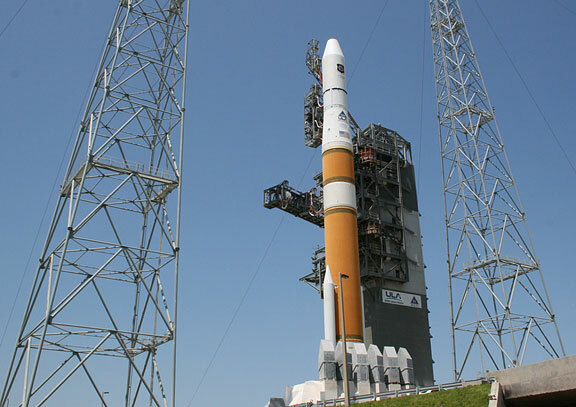 The launch of a Delta 4 rocket carrying the first in a new series of next generation GPS satellites has been rescheduled for Sunday night (May 23) at 11:17 PM EDT from Cape Canaveral, Florida after the countdown was halted barely 4 minutes prior to liftoff, shortly before midnight on Friday (May 21). 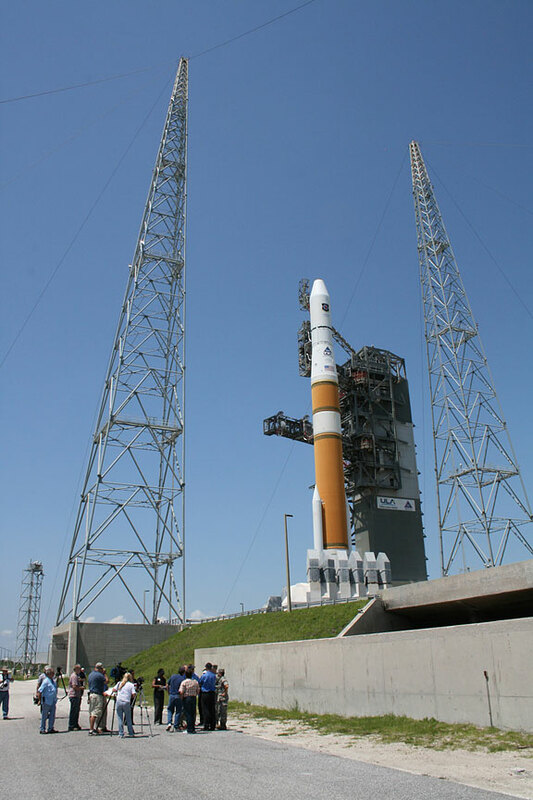 The last minute countdown scrub was called after loss of "the telemetry signal between the GPS and the satellite ground support equipment," according to a statement issued by the Air Force and United Launch Alliance (ULA). Sunday's launch window runs from 11:17 to 11:35 PM EDT. The weather forecast predicts a 70 percent chance of favorable conditions. May 2010 marks the 50th anniversary of the Delta program. The first Thor-Delta launched on 13 May 1960. 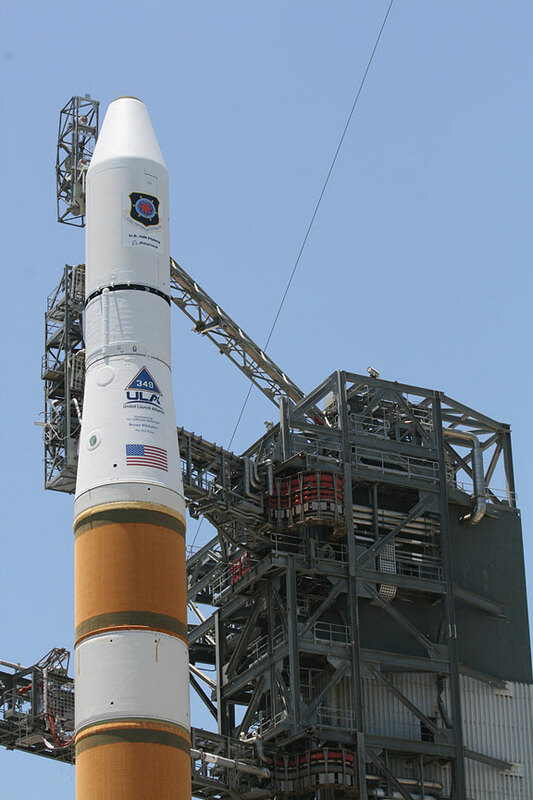 "This will be the 349th Delta launch. Overall, the Delta family of expendable rockets has a 95.7% success rate. 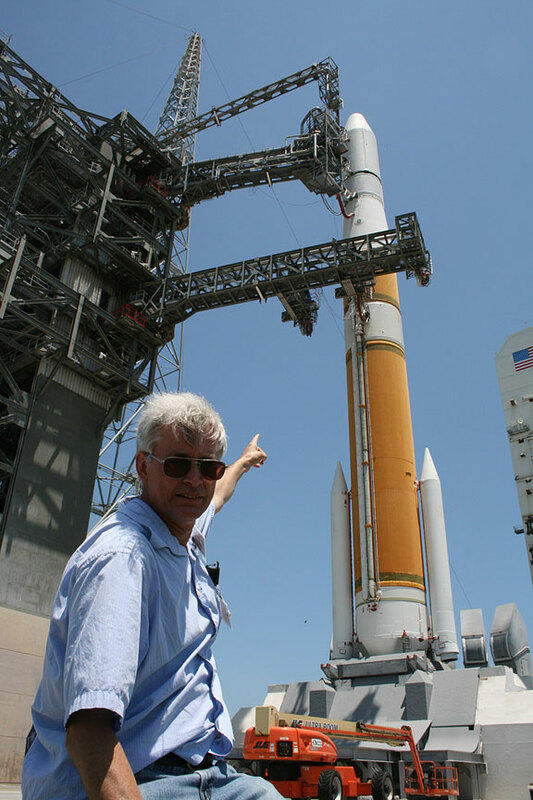 Delta 4 was a 100% success rate since starting 8 years ago," said Bill Cullin, the Delta Launch Director for ULA at Pad 37. The GPS IIF-1 satellite is the first in an advanced series of 12 satellites funded by the US Air Force which will provide highly accurate, three dimensional position, navigation and timing information on a 24/7 basis in all weather conditions. The spacecraft serve both military and civilian purposes. 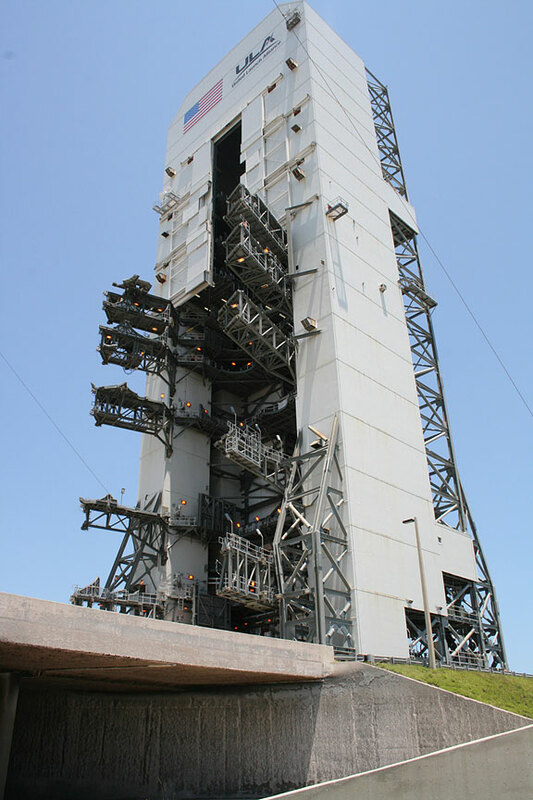 The 330 ft tall mobile launch gantry was retracted from around the rocket early Friday morning. 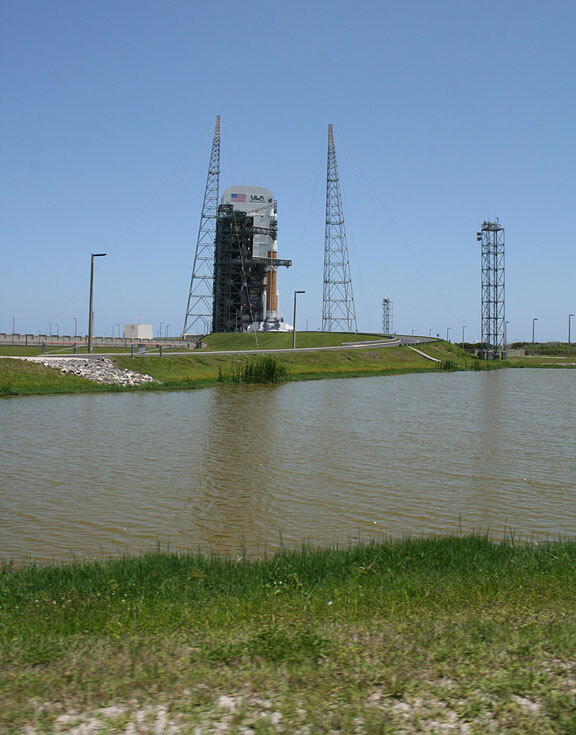 Media including myself visited Launch Complex 37 shortly thereafter at noon for a photo op. 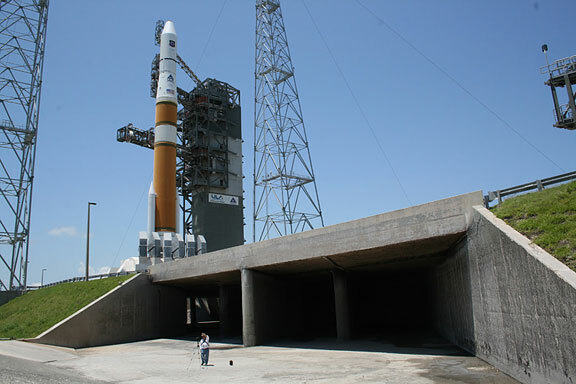 See my photo gallery below of the Delta 4 rocket poised at Pad 37. Watch for my post launch report.